No matter how long you have been following me there's one thing you do or should know : I'm obsessed with eyebrows. I could say this all day long, we all know eyebrows can make or break the face. To be honest when I see you the first thing I'm noticing are your EYEBROWS! Last year kind of around this time or before I started to grow back my eyebrows and I decided to try out the HD Brows which I loved but the upkeep and expense can grow heavy on the pocket after awhile but I do recommend HD Brows especially if you do want thick brows because the process does give you bold eyebrows. Last month they were even reshaped by the Eyebrow Queen while I was attending AOFM. Barbara moved my arch over ever so slightly but I loved how elongated they looked you can view that post here. So what's the problem now ? I feel like a beast !!! The big brow trend isn't showing any signs of it slowing down *jumps for joy* RapidBrow is on hand to help us restore our healthy & full brows. 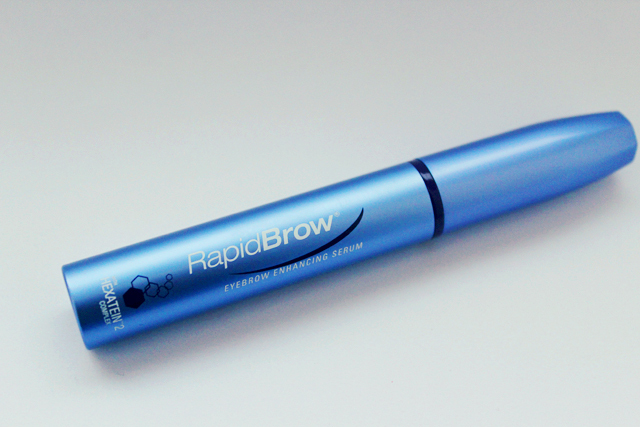 RapidBrow Eyebrow Enhancing Serum is a clinically proven formula with an exclusive Hexaten 2 complex, a unique blend of of fortifying proteins, stimulating peptides and nourishing ingredients designed to help condition, restore and repair the appearance of eyebrows as quickly as in 60 days. 60 days you say well let's put this one to the test. 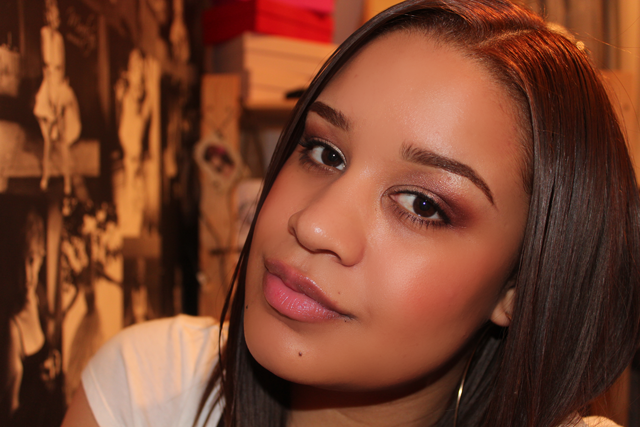 My birthday is 28th April and I want to have gorgeous new thick brows ( again ) I'm sure I did that last year hence the HD Brows - lol I wonder if this is going to be an annual thing. 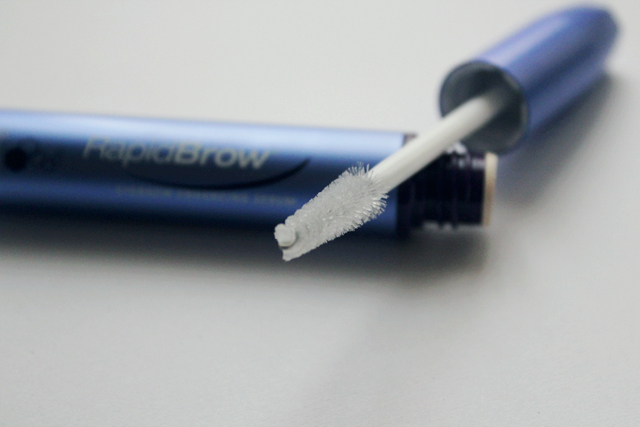 How to use : Apply RapidBrow with a few quick strokes twice a day, once in the morning and once in the evening. Within a few weeks the overall appearance of your brows will be visibly improved. To be honest I'm quite looking forward to this challenge and by the end of the 60days I think I shall compare the appearance of my brows when I grow them back myself with just natural oils to using RapidBrow. I've got such a love/hate relationship with my eyebrows so I'm definitely going to check this out! My problem is, I get bored ever so quickly with things or take off too much when threading and get lazy and end up looking beastly growing them bacl lol. You always have the best brows! wow I need this! great post! Hey, aw thanks :) I'm brow obsessed. I use Jolen Creme Bleach, I could do a post on it but it wouldn't really show the entire process as I'm now growing them out lol! About how long do you leave it on for?